Who’s doesn’t love watching a big game or match on TV along with a few cold ones and some good snacks? But all this at home can still get boring and having a bunch of rowdy football fans over is not the best idea. Fortunately, we have the solution; call up some friends and head out to one of the many sports-themed bars in the city. Here is a list of 12 sports bars in Chennai you got to visit next time you want to get out and get loud at a sporting event. 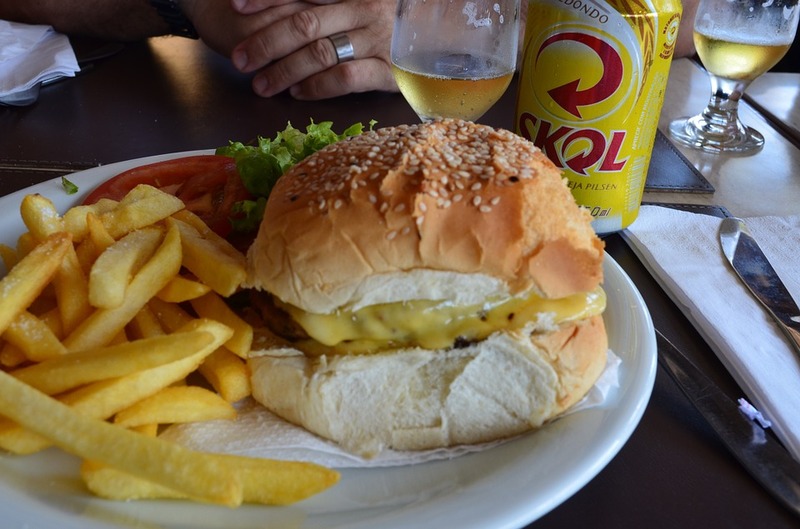 One of the city’s best known sports bar, US 101 has always been popular, especially during important sporting events. The places ambience is perfect and exactly what you would expect from a sports themed pub with posters and memorabilia all over the walls. A large screen in the main viewing area can accommodate quite a few guests and the service is friendly and quick. 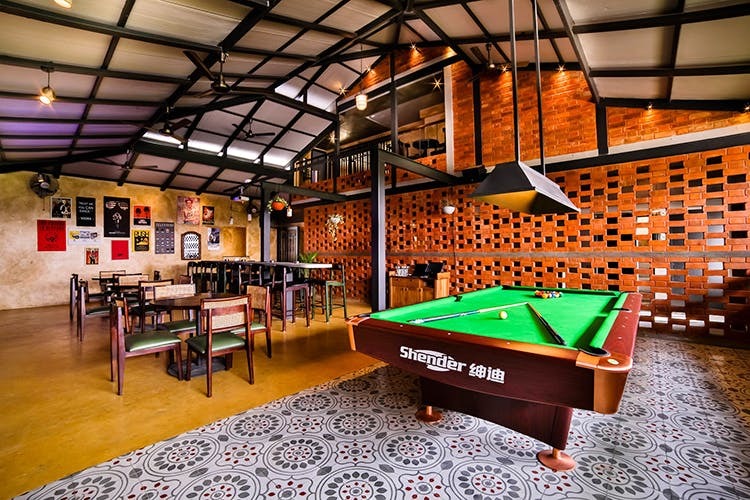 One of the first sports bar in the city has got to be Paddington located at Nandanam. Although the ambience may not be what you would expect from a sports themed bar, the enthusiasm of the scores that flock here to watch major sporting events is enough to make sure you’re in a rowdy mood come game time. With drinks and snacks here being low cost and good, there is no better place to drop in to catch a match with a few friends. A prominent part of the Chennai nightlife for quite a while now, the Sera Tapas Bar and Restaurant on Cathedral road makes it a point to screen all big sporting events. A dedicated viewing area and huge projector screen puts everyone in the mood and things can get pretty exciting during cricket and football finals. With a no shoes no entry dress code and a cover charge on game nights, the place still manages to pull in a large crowd of sports enthusiasts. Serving amazing food and drinks, you might remember B Side before its rechristening as Plan B. A typical pub theme, the earthy colours and wooden booths as well as the memorabilia on the walls make the place welcoming and comfortable. But come game time the screens turn on and the crowd goes wild. With most patrons being football fans, the place has made it a habit to screen most soccer matches as well as all the other major sporting events. Recently opening shop in Chennai, Watsons, an iconic brand from Bangalore, has one of the best places conducive to watching live sporting events on screen. You are sure to be impressed by the ample space, large TVs, projectors, great food, drinks and of course the cheering crowds. Weekends are generally busy here but on game nights, be sure to get there well before kick off as the crowds keep pouring in. Located near Ramachandra medical college in Chennai, the Delma Hotel is primarily known for it’s a bar and restaurant rather than rooms for stay. Busy throughout the day and well into the night, this place has been serving residents in the locality tasty snacks and moderately priced drinks since 2017. Though specializing in efficient home delivery, the place gets crowded mainly on weekends; especially so when there is a game on the TV. Be sure to try the sea food here. A top contender in the sports bar scene, Pitch has been around for some time now and is a well established in Chennai. Located on CSIR road, the place is famous for its sports themed ambiance as well as its tasty treats, fun cocktails, great service and big screens showing live games. Operating from early evenings to midnight, be sure not to plan to catch a day-time event here. Score Bar is probably one of the best sports pubs in the city. Walk in and there is no mistaking the venue for anything else with the sports themed décor. 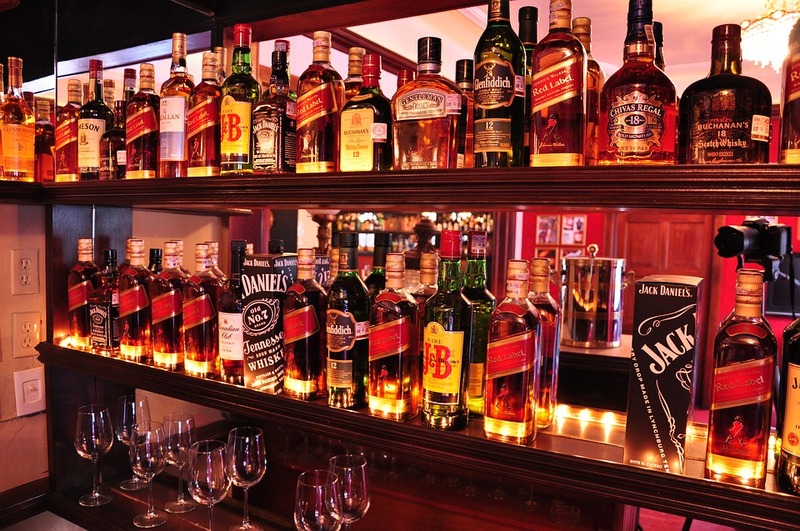 Situated at Rajiv Gandhi Salai in Chennai, the bar has a good choice of snacks as well as some great offers on drinks, especially on game nights. Theater style seating in the main viewing area makes for an excellent match watching experience as does the huge screen, hifi audio and sport crazy crowd. The Winchester is absolutely a first class experience. Rather on the expensive side, you cannot fault the service, food or ambiance here in anyway. Though not really a sports-themed bar, they do make the extra effort on game nights to keep their guests entertained with screening of all major sporting events live on huge flat screens. A wide range of drinks and some of the best North Indian snacks you will ever have, makes this an ideal place to catch a game in the most civilized of manners. The décor at the Million Dollars pub is bright, open, comfortable and clean; as a result the environment too is more relaxed and less boisterous than you would expect from a sports bar making it easy to hear the commentary and enjoy a game on the big screens. Affordably priced, you don’t need to be a millionaire to go here; great snacks, a large bar menu and the match playing is all a sports fan needs. With branches in most cities in the country, the Hoppipola franchise has become a go-to place for a fun evening out with friends. A great vibe, cool ambiance, fun food and amazing cocktails, this place gets even more exciting during sporting events. A few large screens showing live football, cricket, tennis and other popular sports as and when they happen, turns the crowds that come here into cheering fans. One of Chennai’s newer resto-bars, Off The Record is one place you can sit back and chill out; an open design, cool and light ambiance, super snacks and great deals on drinks, the pub is also the perfect place to check out any game that might be happening on TV. Screening of cricket matches here goes without saying and if you happen to be in this joint during a CSK game then be prepared for a night you will not likely forget. With these many options of sports bars in Chennai, all within the city, to watch a match or game, there is no sense in siting home alone. Head out and join in the fun of watching your favourite team play, with other sports fans for company.